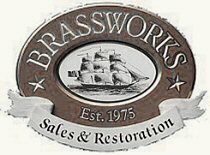 Brassworks Co. was established in 1975 to provide high quality brass and copper restoration. In the past 40 years we have grown into Maryland's #1 source for polishing, lacquering and lamp rewiring. 2017 brings us a new location in Baltimore County, but the fine craftsmanship that we have always thrived to achieve, continues.